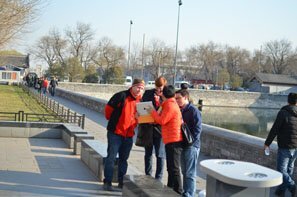 Tourists in China usually speak Chinese for three things: being cordial, buying something, and asking directions. So here are 10 essential expressions that will allow you do these essential things. Notation: Next to the English phrase or word is the official Chinese pronunciation notation (called pinyin) for if you want to have a go at pronouncing the tones. 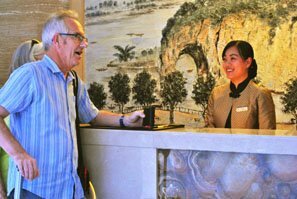 See our Pinyin Guide to learn about pronouncing Chinese. A more intuitive phonetic representation follows, so that without learning pinyin you can roughly make the required sounds, and hopefully be understood. Finally the Chinese characters are given for completeness. Wèi (/way/ 喂), mostly used on the &apos;phone, is the closest Chinese to "hello" or "hi " Nowadays most Chinese speakers know the English word "hello" and might use it even when meeting Chinese people. It has become an English loanword in the Chinese language, written 哈啰, and pronounced hāluo (haa-lwor), so it may sound odd when Chinese-speakers try to say "hello". "Nǐ hǎo ma?" literally means "You good?" (nǐ = you, hǎo = good, ma = ?). Similar to "How are you? ", it can mean "Are you ok?" "Nǐhǎo" is said frequently. It might mean "Nǐ hǎo ma? ", but it typically means something like &apos;It&apos;s you — good." or "Nice to see you." It&apos;s the most basic and standard Chinese greeting. Hǎo means &apos;good&apos;. Hǎo also means "ok". Bùhǎo means &apos;not good&apos;. ("Bu" means &apos;no&apos; or &apos;not&apos;.) Chinese speakers use "hǎo" and "buhao" to say something is good or bad, and to signal agreement or disagreement. 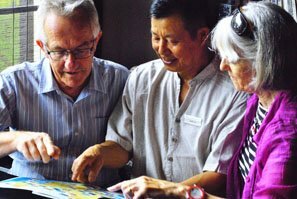 Combining "hǎo" and "bùhǎo" gives "Hǎobùhǎo? ", which is a question. It means &apos;Good or not good?&apos; or &apos;Is it ok?&apos; After this or "Nǐ hǎo ma?" you can reply "hǎo" or "bùhǎo". This is the basic and simple way to say thank you. This phrase can be used both to apologize and to ask for repetition. It literally means "I didn&apos;t begin correctly." or "You&apos;re right, that isn&apos;t upright." "Duì" means &apos;correct&apos;. It is often repeated two or three times to indicate agreement (Duì duì duì). 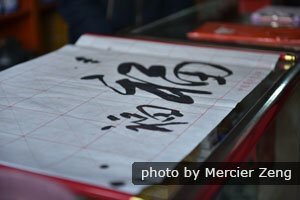 Chinese: Zhè shì shénme? (Jer shrr shnn-muh?) 这是什么? Here is a good way to both indicate your interest in an item and to learn a lot of new words. The three important words are: Zhè (this), shì (is), and shénme (what). Combined with pointing, "Zhè shì shénme?" can be used to find out what things are called. Shì (all forms of the verb "to be") is also used to mean "yes", like "duì" and "hǎo", and can also be combined with bù for "it&apos;s not" (bùshì). 6) Do you have …? Chinese: Yǒuméiyǒu …? (Yoh-may-yoh ...?) 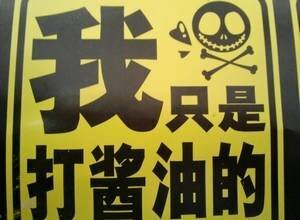 有没有 …? Yǒu means &apos;have&apos;, and méiyǒu means "to not have". The word méi means lack. 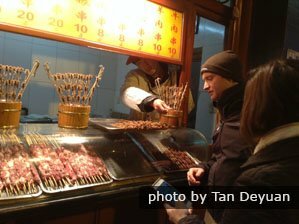 So the phrase "yǒuméiyǒu …" literally means "have or not have …?" English: Do you have fork? The phrase "duōshao?" is composed of the words duō (much) and shǎo (few), and means "how much?" or "how many?" Qián means &apos;money&apos;. 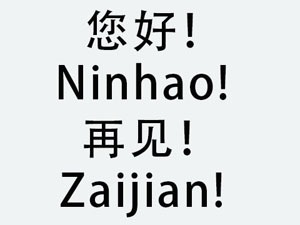 The three words are: zài (on or in), nǎ (where or which), and lǐ (inside or very roughly the word "place"). Put the name of the place or object you want to find before zài nǎlǐ. English: Where is the train station? The three words are: wǒ (I), xiǎng (want), and qù (to go). Then add the name of the place. This is useful for buying train tickets, taking a taxi, etc. English: I want to go to the airport. 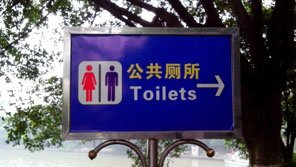 As in English, there are several words and phrases used to mean bathroom. The most common word for public toilets, or a room with a toilet in, is "cèsuǒ." "Cè" means &apos;toilet&apos;. "Suǒ" means &apos;place&apos;. English: I want to go to the bathroom, or where is the bathroom? 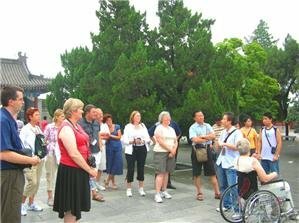 Or you can tell us your interests and requirements, and China Highlights will help you create your own China tour.